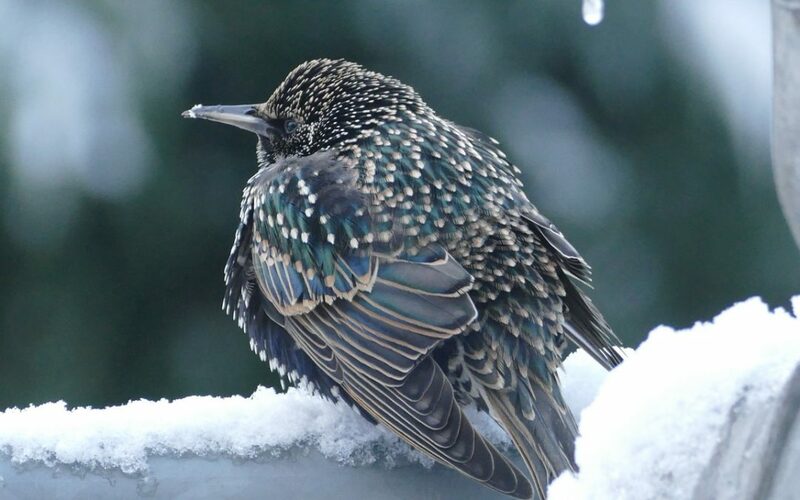 What are the most common bird species in North America during the winter? Well, there are a lot of people working to figure that out. The Great Backyard Bird Count is a program run jointly by the Cornell Laboratory of Ornithology (CLO, which is part of Cornell University) and the National Audubon Society. Its purpose is to enlist the aid of thousands of volunteer birdwatchers across North America to count all of the birds they see during at least one 15 minute interval at some point within in a four-day period in mid-February. The volunteers follow a simple protocol to collect this data, record it on checklists and send it to the CLO. Staff at the CLO take all of the submitted checklists and enter the data into a computer database. Last year, they received 81,003 checklists, which represented a total count of 11,082,387 birds belonging to 613 different species. Scientists analyze this huge database of information and use it to study the composition and distribution of the winter bird populations throughout North America. Greater numbers of Tree Swallows remaining in northern states than in previous years. Since Tree Swallows are insectivorous, their presence would tend to indicate that the winter was milder than usual in many areas. Eurasian Collared-doves, an introduced species from Europe, was continuing its range expansion across North America. In 1999, it was recorded in only 8 south-eastern states. By 2007, it was recorded in 34 states, several of those in the northern and western United States, as well as in some parts of Canada. Fewer than usual northern owls moving south in response to food availability in northern Canada. This was another indication of a mild winter. While Robins were not in the top ten list of most common winter birds (based on the number of checklists which recorded this species), they were the most numerous species in the count, at more than two million. The previous highest number of Robins recorded was 337,973. The reason for the huge increase in 2007 was the astonishing number of Robins who choose to roost for the winter in Saint Petersburg, Florida: 1.7 million. This number represented nearly 82% of the entire wintering population of Robins in North America.